Lithographed by Henri Gillet 1854 (April-August): 5 c. orange-brown, wmk. 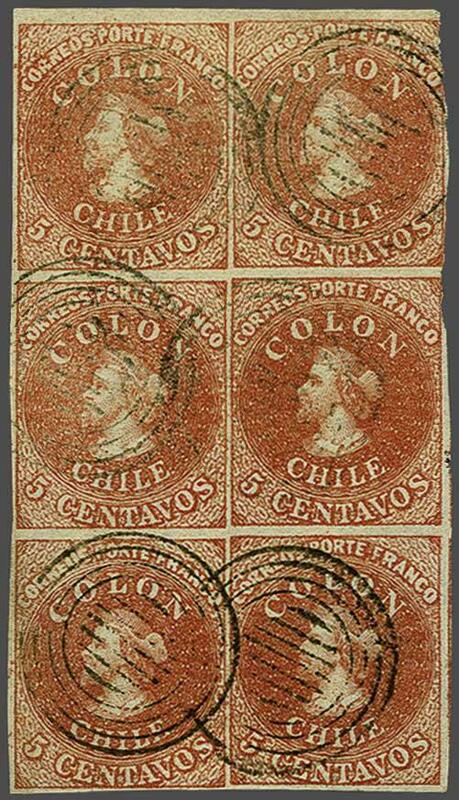 pos.4, the famous used block of six (2 x 3) with four marginal lines of watermark across the top stamps, full margins at top, base and at left, shaved at right but with portion of adjoining stamps at lower right, in a clear 'rosy' shade, lightly cancelled by target handstamps in black. 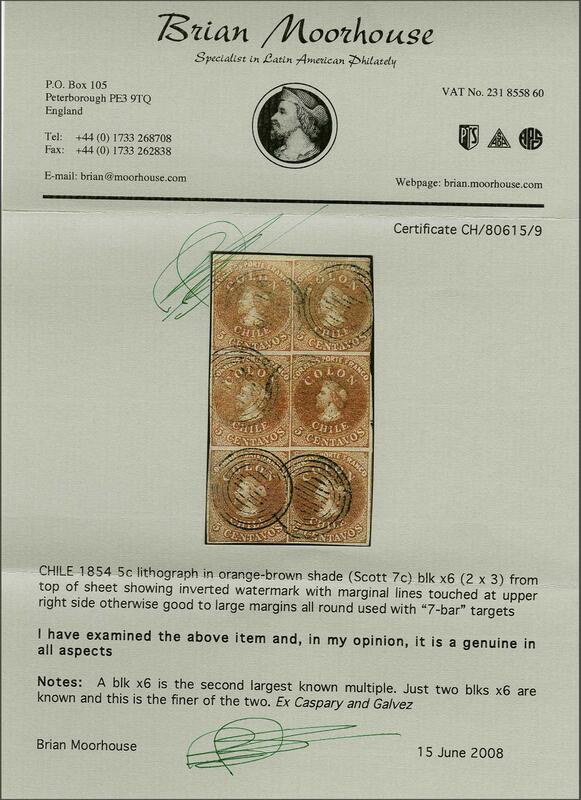 A great rarity - this is one of but two Lithographed blocks this size and only one other larger multiple is recorded. An exhibition piece for the connoisseur. Cert. Moorhouse (2008).rnProvenance: Collection Alfred H. Caspary, Harmers, June 1958, lot 722; Collection Joaquin Galvez, Corinphila sale 62, May 1979, lot 3334; Corinphila sale 90, Oct 1994, lot 6375; Collection 'Islander', Siegel, June 2008, lot 120.